Natalie has been practicing law since her admission to the bar in 2003. She has significant experience in legal research, brief writing, motion practice, court room litigation, and appellate practice. 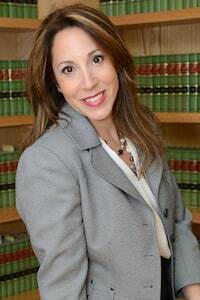 Natalie is skilled in negotiation and mediation and is an experienced litigator with 12 years of experience in (complex legal )research, including not only (divorce) law, but workers compensation and real estate law. Natalie was awarded with the The Peter W. Rodino, Jr. Society Seton Hall University School of Law Excellence in Achievement Award in October of 2015.